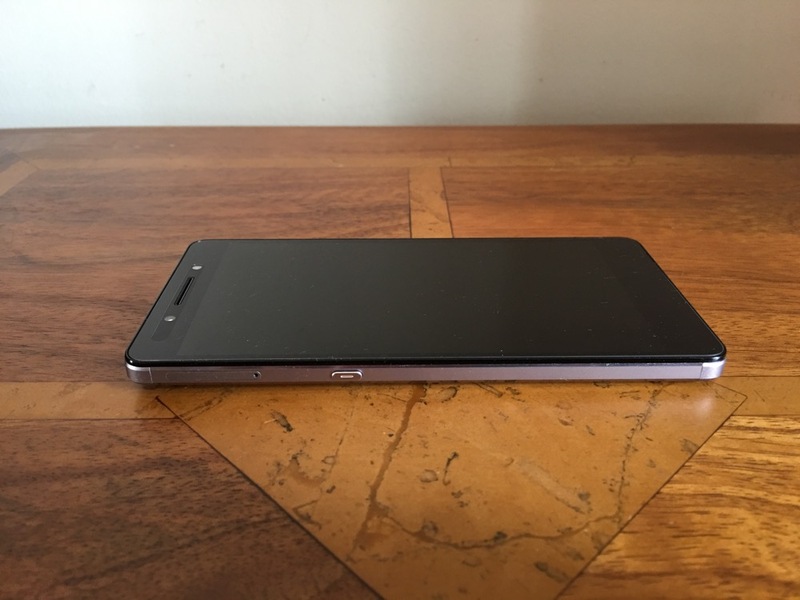 Welcome to my review of the Honor 7 smartphone. – Dual sim arrangement with option for second sim or micro SD card up to 128gb. 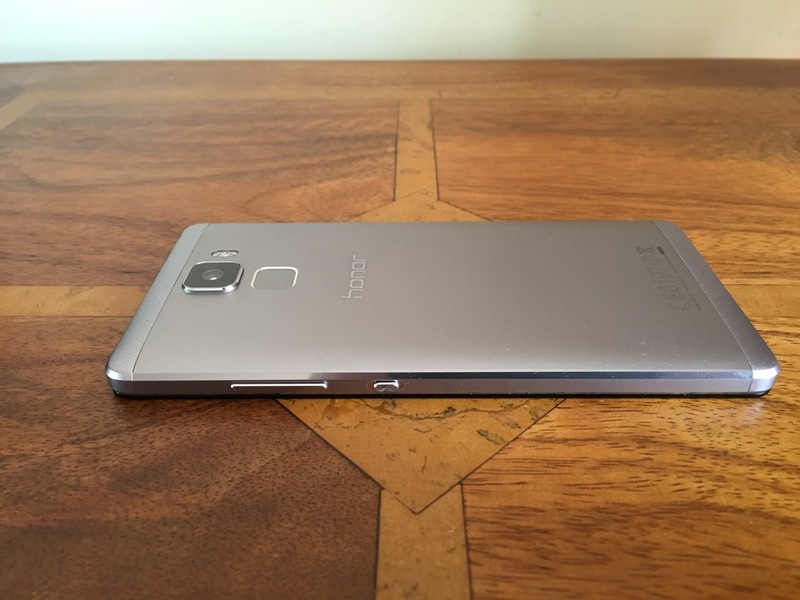 The Honor 7 used for this review was kindly loaned to me in which time I have undertaken a number of tests. First impressions are fantastic. Open the box, lift the phone and it feels so premium with it metallic unibody finish. And then you start to use it and it really becomes a joy to use. There are so many neat touches I will try and cover them all. Basics – cellular signal and reception is excellent on the Honor 7. It seems to be a trait of Honor devices. It is a shame with mobile payments starting to take off, that NFC is not included. Call quality was also good. Honor also have their Signal+ and WiFi+ options present in this phone. Grip – the rear has a slightly curved back and edges which helps with holding the phone. Smart Key – on the left side is a key you can configure to do 3 different things. Press, double press, long press. You can leave each option to do nothing. Options includes ultra snapshot, voice recording, torch and screen shot or launching whichever app you required. I had screenshot, camera and Google search. EMUI 3.1 – This is the custom launcher Honor install. I really like it. The main difference with this custom launcher is the removal of the app drawer. Think iPhone with folders or apps on home screens. There are many many themes available for EMUI to change the look as required. Of course, if EMUI is not to your liking then you can install another launcher eg. Nova or Google Now. Screen – the screen is a 5.2 inch 1080p screen with good viewing angles. Processor – the phone comes with Honor’s in house processor and 3gb ram. AnTuTu produces a score of 50,000 and the 3gb ram keeps everything running smoothly. – Its a dual sim. Only one sim has 3g and 4g. The second sim can only manage data at 2g. However, the first sim does 4g on all the UK bands. The dual sim management works well. You can select which sim is the default for data, calls and messages. Also when using 2 sims as I did, you can have 2 signal strengths showing in the status bar as well as both network names and the network speed. – On screen menu buttons can be reconfigured and an extra menu for the notifications screen is available. – To conserve battery there is an option for Protected apps (apps to be allowed to run in the background), Notification Manager (control apps that are allowed to be in the notification centre), Battery saving modes. If you are installing a lot of apps, you might find apps stop working in the background. It is important to make sure you setup the apps you want to run in the background. Also the phone reminds you of apps that are draining battery. This can become a nuisance. – Fingerprint sensor that allows up to five fingers to be stored. Once unlocked the fingerprint sensor can be used a a touch panel. You can go back to previous view, back to home with a touch and hold, take photo, answer a call, stop an alarm, slide up to show the recent apps and slide down to display the notification centre. The fingerprint sensor is lightning quick to unlock. – Voice Wakeup – by speaking at any time, “Dear Honor, where are you”, the phone plays this creepy music with a voice that gets louder whilst saying “I’m here”. You can also use the voice control to call contacts are other functions are available. – Motions – You can flip to mute, pickup and reduce call volume, double touch to turn on, draw 4 different letters to launch an app e.g. draw a C to launch the camera. – Glove mode. This is also available. All the above extras are user configurable. So you could turn them all off or turn on just the features that you want. Battery life – The standout feature for me was the battery life. I often got 5.5 hours screen on time. The worst day was only 5 hours screen on, and my best day was 6 hours 2 mins screen on time. This was with location on high, wifi and bluetooth on and connected to my FitBit Charge HR. The camera app includes many options with shooting modes good food, video, photo, beauty, light painting (car light trails, light graffiti, silky water, star track), HDR, watermark, super night , best photo, audio note, panorama, all focus and time lapse. Within the settings you can turn on voice control, object tracking, adjust ISO, white balance, exposure, saturation, contrast, brightness and more. There is no manual mode and no raw options. Above, fog had arrived on Dartmoor. A difficult shot in terms of focusing, but the Honor 7 did an okay job. This turned out better, with the orange colour popping. Not so impressed here. A bit over exposed and looking washed out. And now a macro of the flower. Again, over exposed slightly, but a fair amount of detail. The Honor 7 does have optical image stabilisation which might have assisted here. My overall thoughts on picture quality is that the Honor 7 is average is good light and can produce some ok photos, but struggles in lower light with image quality unless using super night. Some of these fancy modes like super night mode or light painting are fun to use and work surprisingly well, but tripods are needed for these to achieve a decent image. The Honor 7 is a strong offering. Good quality build, lots of features, satisfactory camera and strong battery life. It represents good value for money and it is a shame NFC is not included which is needed for Android Pay. Cheaper than the One plus Two. Impressive. Love mine too. S6 not used for a month now. UI is interesting and I love using it. Touchwiz is horrible compared to EMUI. Now if they made the same phone with Qi charging and at least 32gb memory, it world be world class. Did you get notifications on your fitbit? Yes. With the Honor 7 you need to change the background permissions on the Honor 7 settings so it talks properly to the Fitbit. About to get H7. The theme/launcher you used looks really nice. Which one is that? Hi Frank. I can’t recall. I think it’s called Simple or something like that. It is located in the theme store app.